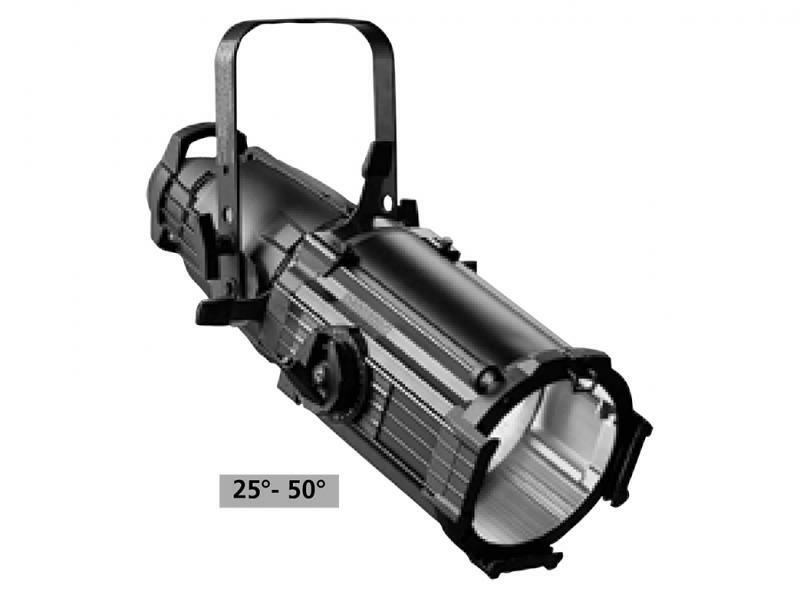 With Stage Lighting you only need one fixture for a variety of field angles. Plus, it's makes it easy: ETC's patented one-handed zoom operation makes adjustments quick, simple and safe. Technicians can focus with one hand and hold the ladder with the other. And the lens-tube door provides quick and easy access when you want to clean the lens assembly (tool-free!). But the best part has all the advantages of the revolutionary bright, even field, cool beam, and amazing efficiency. The patented dichroic mirror means shutters and accessories stay cool, and drop-in accessories are interchangeable. gives you Source Four's crisp optics for excellent imaging and field quality.